Nigerian leafy vegetables are very important in the preparation of all Nigerian soups and dishes. They make the foods delicious and attractive. That’s why it’s very important to know the health benefits of the common Nigerian leaves. These leafy vegetables are the most popular ones and there are very healthy too. Now let’s find out how they help your body. 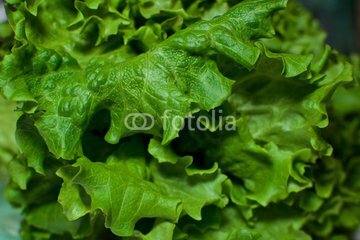 Scent leaf is a popular leafy vegetable, normally used in preparing stew. The botanical name is Ocimum gratissimum, but are commonly known as African Blue Basil. It has a strong scent due to the high concentration of camphor, about 22%. Health benefits of scent leaf or African blue basil are: Due to its strong scenting, it can be used as a repellant. Additionally African blue basil could used to treat cough, due to the camphor content. It contains a high concentration of vitamin K and calcium and iron. Which means that it is great for bone growth and blood production. • The juices can be extracted by boiling and used in treatment of nausea, dysentery and other digestive or appetite problems. • The juicy extract can be used in lowering cholesterol level by up to 40%. • It is also a powerful antioxidant, and contains numerous phytochemicals used in cancer prevention. • Bitter leaf juice is said to increase breast milk production in nursing women. • It is used as a worm expeller and in treatment of piles. These are just some of it’s numerous health benefits, one can argue that bitter leaf is the most healthy Nigerian leafy vegetable. Water leaf, scientifically known as Talinum Triangulare is a popular Nigerian leafy vegetable used in the preparation of many meals, not just in Nigeria but in West Africa. • Water leaves, when eaten, can be used to reduce the risk of hypertension. • Water leaves have antimalarial, antibacterial and antiinflammatory properties. • It can boost brain function. • Water leaves are great for weight loss, since they contain more water. Fluted pumpkin leaves, locally known as ugwu is arguably the most popular leafy veggie in Nigeria. It is used in preparation of almost any soup or dish. It can also be eaten on its own. • They are rich in protein which means they good for growth. • They are also abundant in dietary fiber, vitamin A an K. Which means that can keep your skin looking fresh. • They contain a lot of iron, which helps in red blood cell production. Recommended for anaemic patients. • It also prevent premature ageing. African spinach is botanically called Amaranthus hybridus. It is a perennial herb that used as a common ingredient in preparing many delicacies. African spinach is called a functional food due to its numerous nutritional, antioxidants properties. • It is very low in fat and contains a lot of dietary fiber. This helped alot, learned alot about different greens. Thanks for the info, it is am eye opener for mer & with this new info, I can now eat them more often, I normally don't like water leave, with info I will appreciate more. Thanks once again for the info.